“I tell you,” He replied, “if they keep quiet, the stones will cry out.” As He approached Jerusalem and saw the city, He wept over it. 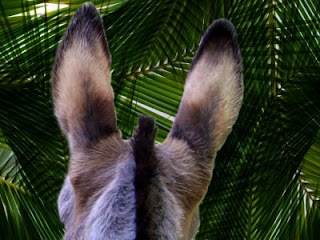 Today is Palm Sunday, when Jesus made His triumphal entry into Jerusalem. I’ve been doing a Lenten study for the past few weeks, and I have learned so much about the last weeks that Jesus walked on this earth. Before this study, I don’t think I’d ever noticed verse 41. Jesus rides in to the city on a donkey so that He could fulfill the prophecy from Zechariah 9:9. The crowd is celebrating Him, acknowledging that He is the Messiah. They wave palm branches, a national sign of freedom, and lay their cloaks under His feet. The Pharisees try to shut up the crowd, worried that the Roman soldiers will come and regulate on the crowd. All the while Jesus is riding on a young donkey, mourning on the inside for a city and a people that He loves. He alone knows that He is riding to His death. He alone knows that the cheers will quickly turn from praise to condemnation. Imagine His thoughts as He rode through the cheering crowd. The Son of God was so overcome with emotion that He shed tears for the lost. Thank you, Jesus, for taking my sin so that I could live in freedom. Join me this week in remembering His love for us. How do you celebrate Easter week?